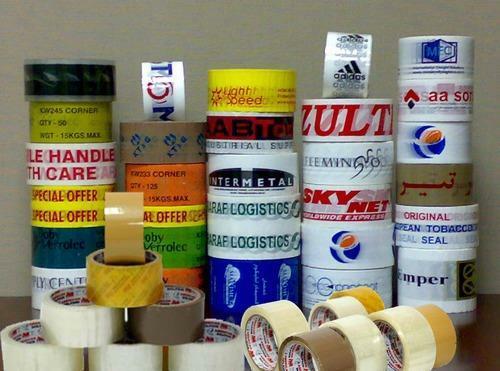 Prominent & Leading Manufacturer from Delhi, we offer BOPP Tapes. BOP or Bioxially Oriented Polypropelene tapes find wide application in packaging of products. These tapes can be printed with single or multiple colors as per our clients’ requirements. As per the diverse requirements of our clients, the tapes can be customized with the logo or a specified design promoting the brand name in market. These are bi-axially oriented polypropylene film coating tapes with excellent peel strength. Peak performance even under extreme conditions of pressure and temperature. Medium & Heavy Duty Carton Sealing. We are known as the foremost manufacturer, exporter and supplier of a high quality range of Stickers, Tags, Holograms, Omni-Directional Scanners, Bar-code Scanners/Printers, Ribbons (Thermal Transfer Ribbons), Labels, etc.